For students at Blakeney Elementary, lunch has become something to look forward to, thanks to the school’s fantastic nutrition program. Some of the fresh produce includes local collards, corn, squash, peas and peaches. They’ve also received some unique products including grapples, guava, star fruit and dragon fruit through their fruit and vegetable grant. “The kids like the fresh strawberries, watermelon, grapes and collards best,” she says. Thanks to the fresh array and the kids being able to choose their own food, it’s made lunch much more enjoyable for them. Blakeney works with the Feed My School program through the Georgia Department of Agriculture – which connects local producers to schools – providing them with fresh, healthy foods. “Feed My School is an excellent program,” Davis says. 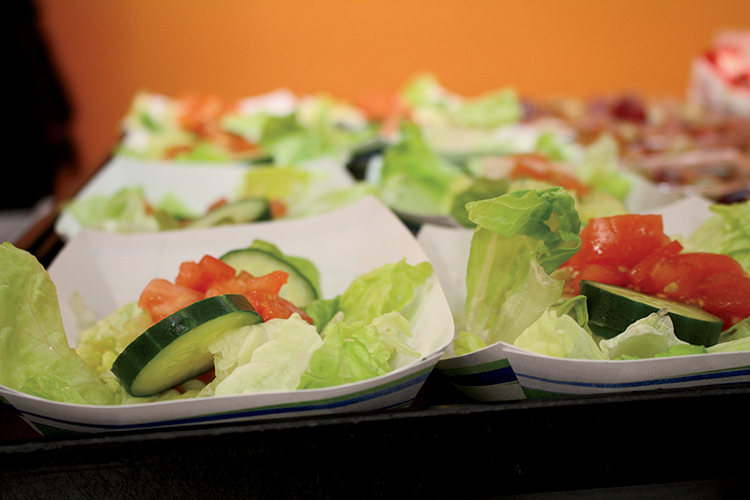 “It allows the schools to get a lot of fresh, locally grown produce. It’s educational for all the students, as well as their families and the farmers.” Blakeney Elementary doesn’t have a school garden at the moment, but Burke County Middle School, which is part of the same district, does. First lady Michelle Obama visited them earlier this year in April. Davis says Blakeney currently hasn’t decided whether to add a garden or not, but anything is possible for the future. What’s growing in Georgia throughout the year? Use this helpful Georgia produce calendar to see when specific items are in season.